We understand your organization is unique. That’s why we take the time to understand you before offering a solution, a solution that is based on providing you the best service possible. We have been working with business professionals, agriculture, commercial, retail and small business since 2007 to provide the best customer service possible. When my grandfather started farming, if he wanted a report on the chickens without leaving the house that meant sending one of his daughters out and hoping the information was accurate. Today farmers are using technology in ways that, in the past were hardly even concepts, (i.e. Self steering tractors with integrated GPS). Many farmers rely on cameras and other technology as a way to quickly check on the livestock at critical or inconvenient times. For example a camera in a calving barn (linked to a cell phone) has proven very useful at night during winter storms. Do you really want to head out to the barn at midnight in 3 feet of snow to find the overly pregnant cow is sleeping peacefully? Or the opposite, thinking everything is fine only to find out it wasn’t in the morning. Recently we established a wireless connection between a house and chicken barn about 1100ft as a way to allow monitoring to happen remotely. 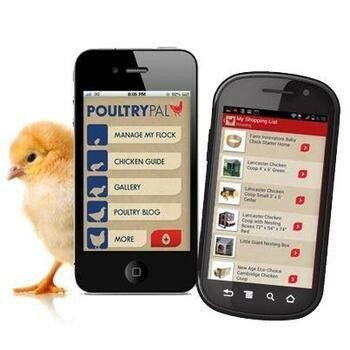 Feed and water levels, temperature, even the birds’ weight can all be checked on a smart phone. It’s unlikely my Grandfather’s generation could never have imagined barns like that.